Greater Atlanta's Most Trusted Roofing Contractor! What makes us "One Of A Kind"? 1-OAK started from a simple desire, to do quality work, give great customer service and invest tremendously in the community. There’s a reason we’re called One Of A Kind Roofing and it is very noticeable throughout the process. Your customers and neighbors will thoroughly enjoy the cleanliness of our job sites all the way down to the attention to detail we bring to every project, cutting corners to save costs is a huge future expense to us and a headache to you. We do things the right way, because we see that as the only way worth doing them. We're a Trust Dale Certified Roofing Company! Are you in need of a roofer? When looking for a roofing contractor you want someone hard working and reliable. You also want someone who has experience.  1OAK Roofing is a GAF Master Commercial Roofing Contractor giving you confidence you have selected the best commercial roofing company for the job. 1OAK started from a simple desire, to do quality work, give great customer service and invest tremendously in the community. Whether its Commercial Roofing, Flat Roof, or your Residential roofing ,there is a reason we’re called One Of A Kind Roofing and it is very noticeable throughout the process. Your customers and neighbors will thoroughly enjoy the cleanliness of our job sites all the way down to the attention to detail we bring to every project, cutting corners to save costs is a huge future expense to us and a headache to you. We do things the right way, because we see that as the only way worth doing them. 1 OAK Roofing is fully certified and we work close with the homeowner when it comes to their residential roofing service. Whether your residential roofing needs are large or small, a simple home roof repair or complex re-roof, the professionals at 1 OAK Roofing are here to help. Considering adding gutters to supplement and fortify your home. 1OAK Roofing knows how to carry out the work right the first time, from gutter installation to gutter replacement and repair. 1OAK Roofing gives top quality gutter services, utilizing the best materials and systems to offer you 100% peace of mind. We Love Standing Behind Our Work! Need to file a roof warranty claim? Give us a call during regular business hours or complete the form online and a warranty specialist will contact you immediately.